One of my favorite films in my younger years was Backdraft. I mean, what young person didn’t love a movie about firefighters. Firefighters are our local heroes, they ride the iconic red fire truck to save citizens and their homes. I had the opportunity as a High School student to ride along with firefighters for a few days, and one of the first things they told me was that Backdraft, wasn’t very realistic. While they appreciated the publicity, there was nothing real about the way fighting fires was portrayed in the film. What stood out to me so much about this documentary, Burn, was the incredible realism. I walked away feeling like I had spent a year with real firefighters, learning their stories, their struggles, and saw first hand, what its like to be inside a dangerous, frightening fire. Detroit is infamous for its “rates.” Murder rate, unemployment rate, crime rate, povery rate. Once a vibrant, well-off, well populated city, now, its mostly vacant, and economically suffering. Vacant homes = fires. Some legitimate, but many of the fires are a result of arson. A frightening statistic is given by one of the firefighters in the film, informing us that most of the fires they fight are because of arson, ranging from trying to hurt someone, or trying to have some fun. “A gallon of gas is still cheaper than a movie ticket.” Scary. We follow a few specific characters, a driver/operator, a young 10 year veteran who suffers a serious injury, and the newly inducted Fire Commissioner. We see the struggles, both at home, and at work, and hear their stories in their own voice. For the new Commissioner, his battle is trying to bring his department within budget, and gain the loyalty of the frustrated firefighters within his department. So how did the filmmaker Tom Putnam and Brenna Sanchez get such amazing footage from within the fires? Putnam said during the Q&A following the screening at IFFBoston, “Firefighters make great cameramen.” Using helmet cameras otherwise used in filmin extreme sports, they mounted cameras onto the firefighters helmets, to capture a point-of-view otherwise only seen by the folks on the frontlines of these fires. They did such an amazing job capturing this, all that was missing was the heat and smoke emptying out into the theater. 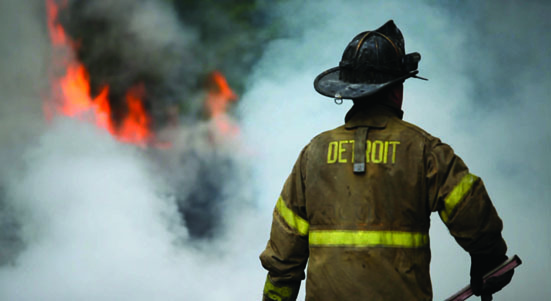 Burn: One Year on the Front Lines of the Battle to Save Detroit is an amazing documentary that tells an important story. About service, dedication, and the state of affairs within the Fire Department. What we learn about in this film is not just local to Detroit, but an issue that effects many other departments across the country. 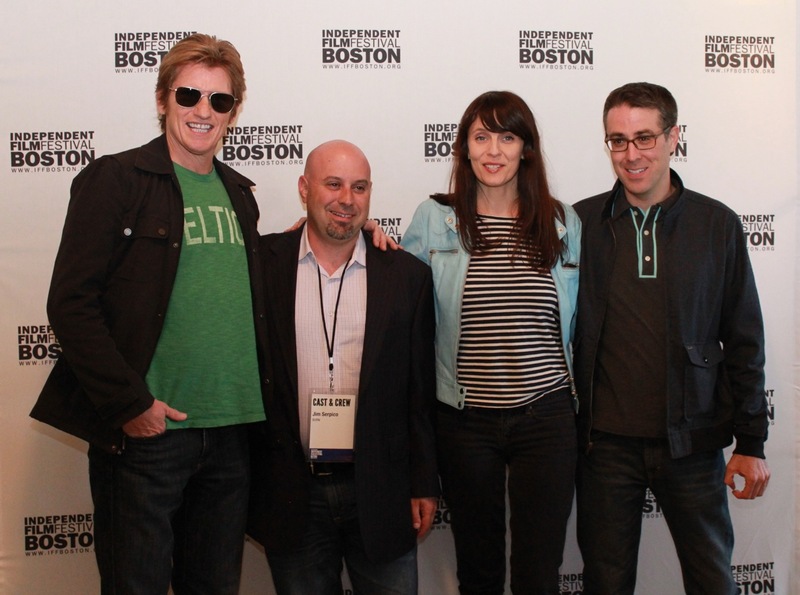 Executive Produced by Denis Leary and Jim Serpico, the film hopefully has the name attachment it needs to find wider distribution. It is an important film, and I urge you all to seek this one out. Visit the film’s website to learn more about how you can help.